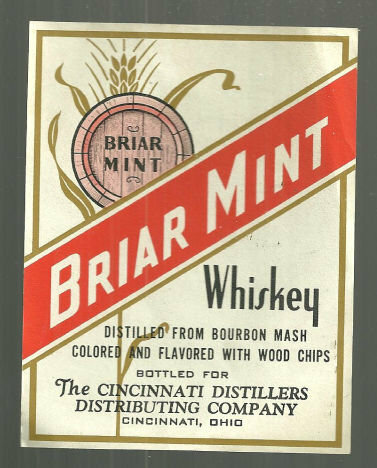 Vintage Briar Mint Whiskey Label. Distilled From Bourbon Mash Colored and Flavored with Wood Chips. Bottled for The Cincinnati Distillers Distributing Company, Cincinnati, Ohio. Label is 4 1/2" high and 3 1/2" across. Unused very good condition.